How to choose the most suitable attachment according to your needs? 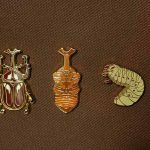 This article will take you through the available attachments of Custom Lapel Pins and the differences between them. 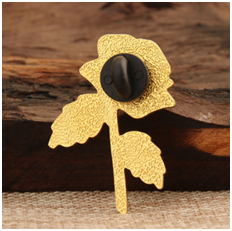 The lapel pins, in short, is a sign worn on the body to indicate identity and occupation. It has a long history and its origins can be traced back to the totems of the primitive social clan tribes. Nowadays, the seemingly ordinary small objects have become a must-have accessory for fashion people. For such accessories, customers who purchase them may be more concerned about the pattern and shape of the custom lapel pins, but they often overlook their important attachments on the pin’s back. As the saying goes: “A good horse need to be matched a good saddle”. How can a beautiful and exquisite custom pin be lack of a suitable attachment? 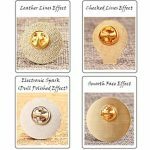 There are actually 7 types of lapel pins attachments, names are: butterfly clutch, rubber cap, magnet, safety pin, deluxe clutch, cufflink, stick pin. Some tangled one, do you need a lucky runner to choose one? Choosing the suitable custom enamel pins attachment will not only increase your use frequency of the lapel pins, but also affect your preference for the custom enamel pins. But for many lovers of custom lapel pins, they don’t know much about its attachments, and they don’t know how to choose the right attachment. In fact, each attachment has its own suitable object and purpose. 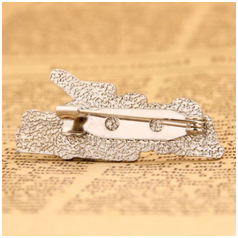 It is a standard attachment for custom lapel pins that is very common. The butterfly clutch is named for its two circlips shaped like butterfly wings. It is a metal fitting that two thin pieces of metal like wings can be pinched. -Advantage: This attachment is the cheapest and easy to attach and release from your clothes, jacket, and hat. It is cheap and light, easy to open and well fixed. More importantly, these do not add the extra cost for your custom lapel pins as it is the standard allocation. If it’s just an ordinary lapel pin, the butterfly clutch is the best choice. -Disadvantages: Because it is metal, if it is worn close to the body, it will make the human body uncomfortable and not friendly to children. It is recommended to use a rubber cap in this case. -Usage method: A pair of circlips resembling butterfly wings behind the circular button is centrally pinched inward to insert the spur nail (The spur nail is sharp. When you wear them, you just need to pass through your clothes and cover with butterfly clutch). Then release the metal circlips and fix it. (If you want to pull out the spur nail, don’t use brute force that the attachment will be broken). 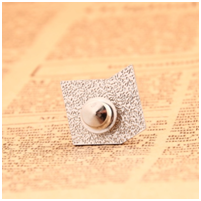 It is also a common custom lapel pins attachment. The rubber cap is made of hard rubber and comes in a variety of colors. Advantages: The rubber cap is tighter on the clothes, so it is difficult to disassemble. The rubber cap is softer than the metal butterfly clutch. Even if the rubber cap is touched to the body, you will not feel uncomfortable. For example, when worn on tights, they won’t poke you like metal. Rubber caps are usually tighter than butterfly clutches. If you put your pin on a jacket or a bag, it will be a good lock. Rubber caps are also suitable for children. Disadvantages: The main problem is that if you keep removing and locking the rubber cap, it will loosen and can’t lock tight like the first time. Usage method: Insert the spur nail into the garment and cover the rubber cap on the spur nail. As the name implies, it is made of a magnet. Usually, its surface is plated with a film of metal to make it smooth and look better. Its shape is round and flat that can be used on close-fitting clothing without foreign body sensation. Magnet attachments do not need to poke holes in the clothes to prevent breaks. Advantages: The magnet has good safety performance. Use this attachment on your hat or clothing to prevent injury without poking holes. The suction is very large, it is not easy to fall off or tilt left & right after fixed. But you need to buy it separately. If you don’t want your clothes to be broken, then magnet attachment is the exclusive choice. Disadvantages: It has no penetrating power that can’t be used on heavy fabrics or garments. Usage method: Put the decorative part of the badge on the clothes anyway, and then put the magnet into the back of the coat of arms. This is a good choice if you want to attach your custom pin to a model airplane or other metal based object. It is very common that is a flexible needle which mostly made of metal. One end is fixed while the other end is sharp and can be opened and closed. They are especially suitable for heavier fabrics, clothing and materials. The safety pin is the most traditional fastening device with a safety lock for children’s lapel pins. Advantages: It is the most traditional safety lock and has a long service life. Disadvantages: The needle of the safety pin is relatively thin and relatively soft, and can’t be used on the leather bag. Usage method: Push the needle at the opening and closing position outward, take the needle across the clothes and then recover the needle. It is the suitable attachment for children which is the most traditional child pin for securing a safety lock. It is also a metal fitting. The shape of deluxe clutch looks like a top hat and the metal material is thicker than butterfly clutch. It is a replacement for butterfly clasps and rubber caps that is usually used as a high-end attachment. Advantages: This attachment provides a locking function that can be securely attached to your lapels. This type is very safe and it is very difficult to remove them from the accident and will not become loose with the time. The locking pins are also very comfortable because they are designed to be very smooth so that they don’t poke you like a butterfly back. Deluxe clutch is very useful for collectible pins that you want to wear or trade. Disadvantages: The only downside is that sometimes they are too hard to take off from the clothes! If you try to remove the lock, please use your shirt or cloth to protect your fingers. Usage method: This is the safest fastener because it actually has a spring device that locks the fastener to the pin. It cannot be pulled down unless you lift it on top of the fastener to release the spring. 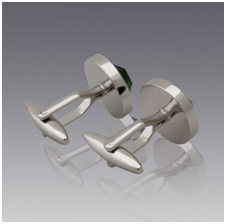 Cufflinks are a kind of more expensive attachment that is usually used in formal settings. It is designed in a variety of styles. The most common cufflink is that the middle part of the back has a hinge mechanism that can pass through the buttonhole. Advantages: Cufflinks are an attachment that makes your shirt more distinctive. Disadvantages: Cufflinks have their limitations that can only be used on shirts with buttonholes on both wings of the cuff. They are generally suitable for formal occasions. Usage method: Put the cuff buckle into the button hole and turn it so that the fixed stalk and the buttonhole are opened perpendicularly to make it fixed. It is a slender needle with a small metal cap that hides the needle. 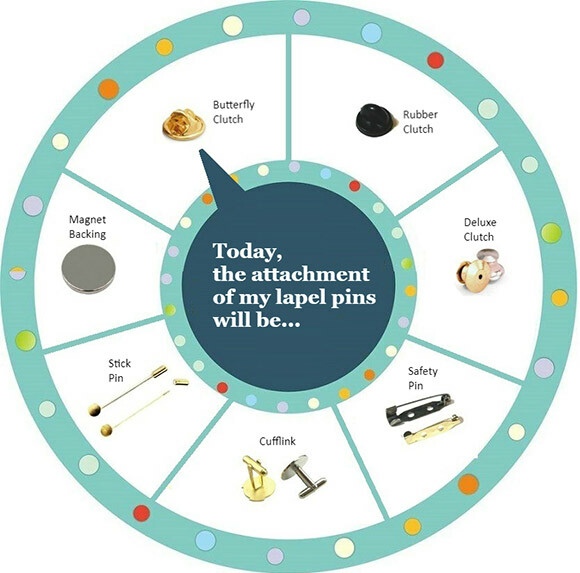 The earliest stick pin is used to fix the layered neckline which is popular as a functional attachment that is simple and convenient. The main function is to connect the tie and shirt now; it can also be used as a scarf, silk scarf, hat, jacket and other decorative pins. Advantages: Stick pin is similar to those of safety pin. It is more secure than spur and butterfly caps. Disadvantages: The needle is too long and the safety is not too high which is not suitable for daily use. Usage method: When using, pull down the cylindrical metal cap on the end, pass the sharp end of the pin through the clothes, then close and cover the cap and adjust the position. Butterfly clutch is a standard option, but it will fall off easily for some special reasons and the comfort is not good. It is not suitable for close-fitting. Rubber cap is the standard choice which is very good for the skin and easy to use. But if the frequency of use is high, the hole of rubber cap become large and the result is not insecure. Deluxe clutch is the safest, good quality, but expensive. Safety pin is suitable for small children. Stick pins are differences in the way of wearing. Its mainstream wearing ways are worn with only revealing its decoration part or revealing both the decoration part and needle part acting as the old ways. Note: How to decide the quantity of the attachment to use? Many customers don’t understand when to use one attachment and when to use two attachments. In fact, it is very simple. 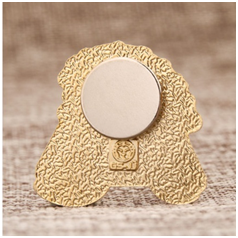 Some custom lapel pins are too large or have a special shape. If there is only one attachment on the back, then the custom pins will be tripped and tilted when worn on the clothes. We need two attachments to stabilize the lapel pins at this time. There are also instructions in our attachments selection. Normally, more than 1.5 inches of custom enamel pins require two attachments. And our designers will decide whether to use one or two depending on your design when designing your custom lapel pins. Believe in our recommendation, we are professional. Each of custom pins attachment has its own unique functional attribute. 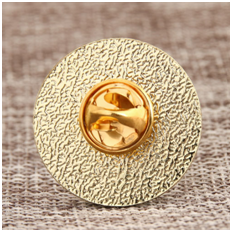 If you understand the characteristics of these lapel pins attachments, you can choose the right attachments s well, and the custom pins will be more convenient and enjoyable. The custom pins ordered by our company offer different attachments options which you can choose according to your own requirements and preference. If you have any questions, you can also call: 1-888-864-4755 or email:info@gs-jj.com.